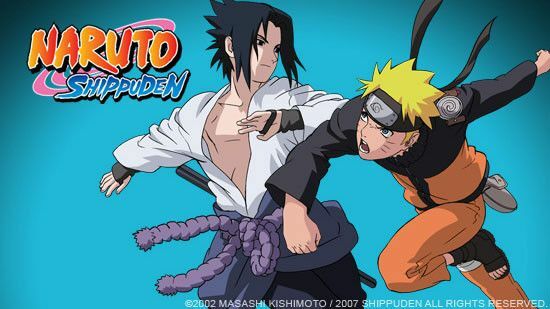 You are going to Watch Naruto Shippuden Episode 158 English dubbed online free episodes with HQ / high quality. Stream Anime Naruto Shippuden Episode 158 Online English dub Power to Believe. As the Six Paths and Konan try to determine Naruto’s location, wreaking havoc in Konoha in the process, Danzo Shimura tells the village elders, Homura Mitokado and Koharu Utatane, of Pain’s arrival and Tsunade’s inefficiency in dealing with the situation. They confront Tsunade on the matter, trying to make her change her mind about bringing back Naruto, fearing his capture would mean Konoha’s annihilation. Furious, she tells them that they need to believe in Naruto (and the other young ninja) as he too is a member of Konoha, just like all of them, and not a weapon. As Shizune informs Tsunade of Pain’s body piercings actually being unique chakra receivers, Tsunade formulates a plan to defend Konoha but as the messenger frog is leaving to inform Naruto of the situation, it is killed by Danzo without anybody knowing. In the battlefield, Pain’s Deva Path encounters and attacks Iruka, but he is saved by Kakashi, who confronts Pain himself.